Dr. Jennifer L. Miskimins is a Senior Consulting Engineer with Barree & Associates, a consulting firm specializing in stimulation and well performance optimization. 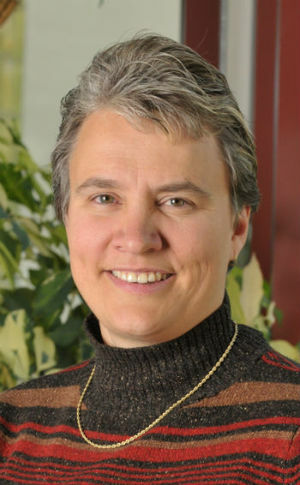 Prior to joining the company in 2012, she was an Associate Professor in the Petroleum Engineering Department at the Colorado School of Mines, where she taught classes in completions and stimulation for over ten years and was the founder and director of the Fracturing, Acidizing, Stimulation Technology (FAST) Consortium. Dr. Miskimins still holds a part-time appointment at the university. Dr. Miskimins holds B.S., M.S., and Ph.D. degrees in petroleum engineering. Before returning to graduate school and subsequently joining Mines, she worked for Marathon Oil Company for eight years as a production engineer in a variety of field locations. She specializes in well completions, stimulation, formation damage, and production issues, as well as, offers a variety of in-house short courses on these topics. Dr. Miskimins has served as an SPE Distinguished Lecturer twice (2010-2011 and 2013-2014) on hydraulic fracturing in unconventional reservoirs. She served as the Executive Editor for the SPE Production & Operations Journal from 2008-2011 and also serves on a variety of SPE committees including the Production & Operations Technical Advisory Committee and the Hydraulic Fracturing Technical Conference organizing committee. Dr. Miskimins has authored over 65 technical papers and is a registered Professional Engineer in the State of Colorado. In October 2014, she was awarded the SPE International Completions Optimization and Technology Award at the annual SPE conference in Amsterdam. In September 2015, she will join the SPE International Board of Directors as the Technical Director for the Production & Operations Section. Jennifer Miskimins: An interview conducted by Amy Esdorn for the Society of Petroleum Engineers, September 30, 2015. Interview SPEOH000136 at the Society of Petroleum Engineers History Archive. My name is Amy Esdorn and I’m here at The Society of Petroleum Engineers Annual Technical Conference and Exhibition at the George R. Brown Convention Center in Houston Texas. Today is September 30th, 2015 and I’m speaking with Jennifer Miskimins. Jennifer, thank you for coming to this interview. Well, let’s begin. My first question for you is, how did you get involved in the industry? So my story is kind of an ironic one, a complete serendipity that I got into the industry because I was actually looking at becoming a chemical engineer and I got offered a volleyball scholarship to go play at Montana Tech in Butte, Montana, of which I’d really never heard of the town, let alone the school, before. And so I got there and started to participate in that sport and go to school as a freshman and I was asked to provide a major, so that I could get an advisor, and so I literally just picked petroleum engineering off of a list of about 10, and with no intention whatsoever of going into it. I just needed to put something down. Well, what happened was, I was looking for a job that in that first summer between my freshman and sophomore year, and had a job lined out. I was going to go pump gas in Yellowstone National Park because that's just what I had found a job in. Well, I saw, again, by complete chance, an advertisement for Marathon Oil Company to be a roustabout for the summer and they were paying a lot more than the National Park Service was, so I applied for that and ended up working for Marathon Oil that first summer in the Rockies. [00:02:00] Again kind of ironically, I was actually located about 50 miles from Yellowstone, so I got the chance to be near the park and be there in the mountains in that part of the world, so I got the chance to work with some guys in that first summer where I ended up not doing too many roustabout duties. They actually kind of – once they got me there and they realized I was signed up for petroleum engineering, even though I really wasn't signed up for petroleum engineering, they pulled me into their internship program. So I got a chance to actually work in the field that summer and fell in love with it and just completely ended up with three degrees in petroleum engineering by now. That first the first summer there was just a series of dominos that kind of went through that got me into the industry. I had no family in it. I had a couple of uncles that were tool hands but I had no idea what they did. I grew up in Wyoming. I grew up around oil fields. I had no idea what they were. I had no idea that it was petroleum engineers that worked on them, but that first summer I found it absolutely fascinating so I ended up staying in the industry. What was it about what you were doing that summer that you fell in love with? Oh, wow. Well first of all, quite honestly, the people. The people that I worked with were they were just good people and they were fun to be around and they wanted to make sure that I learned things, and once they found out really just how green I was, they really wanted to educate me. But then field side of it, there was so much about working in petroleum that you were a little a Jack of all trades, master of none. You had to know a little bit about plumbing. You had to know a little bit about fluids. You had to understand the environmental components. [00:04:00] The first field I worked in is where they discovered the black-footed ferret had not become extinct. So we had to work around certain parameters in that particular area. Actually, it was the foreman in that field, it was the foreman's mother whose dog found the black-footed ferret, so we had to kind of work around those particular – there was a little bit – again, just a little bit of everything and you got to work outdoors. I loved working out in the field. I loved working outdoors and just every day was something different. The rigs were fascinating. Here’s these big rigs that you're doing work on these wells with. It was just -- it was very, very interesting. It sounded a lot better than, for me personally, for some people maybe not so much, but for me personally, it sounded a lot better than being in a refinery as a chemical engineer, so that's where I ended up. That’s great. So when you graduated, did you -- from college with your undergraduate degree did you go straight into the industry or did you go get your graduate degree? I went straight into the industry after my bachelor's. My first field appointment was – I walked into the office and they said here are your four fields and I had four small fields up in Northwest Wyoming in the Bighorn Basin and I was a production engineer in the office, but I also for about the first couple years, I was in the office, but I would out to the field and do my own workovers, or do my own work any time we had any kind of rig work going on. I got a chance to experience the office, but also spent a lot of time in the field. Shortly after that then, I was transferred out to the field and I spent about five years physically out in the field doing production engineering, completion engineering work and also substituting. [00:06:00] I was a production foreman, production supervisor, did some workover foreman duties, and some substitute roles. I got the chance again to kind of spend a lot of time outside and outdoors so that was nice for me too. When did you enter the industry? When did you graduate? I graduated, well, kind of when nobody in their right mind was going into it, I actually started in the Petroleum Engineering Department in 1986. With the crash, obviously a lot of people had gotten out of the industry. I started in ’86, which means when I graduated in 1990 with my bachelor’s, there were not many of us that had petroleum engineering degrees. I’m definitely in the bottom of the curve between the YP and the older professionals that are closer to retirement. So it was an interesting time to graduate because a lot of people thought at that point in time of course that the petroleum industry was dead, the oil field was dead, but it obviously wasn't and it has been a great career. Was it difficult to get into the industry at that point? Did you have any problems or how did you…? I didn’t. I was fortunate that after that first summer with an internship, I was fortunate to get internships the other two summers before I graduated. I had that on my résumé. I had some experience there and Marathon Oil who I had worked the internships for offered me a full time position. I think, you know again, it was kind of the little bit of luck in the sense that there were so few of us that had gone into the industry at that point in time that the demand was back at that point in time, and so it worked out okay. [00:08:00] During your career since 1986, 1990, what technological innovations do you think have made the most important impact on the industry? My background obviously production completions, but when I start to narrow that down, my specialty is in the area of hydraulic fracturing and stimulation and I think it's pretty obvious that unconventional reservoirs and shale plays specifically in the hydraulic fracturing and that goes into those, has made huge changes in our industry, not just from a technological standpoint, but also the impacts that it has had on just production in North America and in the changing of the overall impact on world economics sometimes because of the import-export issues and now supply demand where all that's coming from. I think when you drill it back down, it's the hydraulic fracturing. It's funny because that’s something I fell in love with when I was an intern. I loved going out on fracs. I was fortunate to be able to work that into my early career. As I went back to graduate school and got my Master’s and PhD, I decided to specialize in fracturing and it was again a little bit of luck. It's good to specialize in something that was really starting to become so prevalent at that point in time and so you know, you'll hear that a lot from people, fracturing horizontal wells, but it is. It's had a huge impact on our industry and it’s expanding more and more globally, not that we haven't done hydraulic fracturing globally for a long time, but that that desire and that that need to develop unconventional reservoirs has carried that further. [00:10:00] What specifically within the field of hydraulic fracturing – because that has been around since 1946? What innovations within – that you’ve seen in your career within hydraulic fracturing or horizontal drilling, what really impacted, changed maybe the way your everyday work being or you saw a really big change in the production once you implemented something. Yeah, so multistages. Our ability to divert multistage and horizontal wells that ability to not just do a pump and pray when you have a hole wide open horizontal several thousand feet long, you start pumping in, you hope the frac goes in the right direction. The ability to semi-control. We can't completely control exactly where it goes in the wellbore, but the ability to divert it to certain parts of the well and actually fully stimulate that entire horizontal. I’d been fortunate to work on some of those aspects and see, especially in the modeling area and some of the geomechanical components, as to how the well bores and the reservoirs react when we actually are doing the fracturing treatment in those particular areas. What was sort of the most exciting thing that you've come across in your work where you just said “Eureka! This is amazing!”? [laughter]. Boy, that’s a great question. Yeah, that’s a really good question. I think for me, the fiber-optic systems that we have now have been just phenomenally informative. I couldn’t tell you for sure just how long we’ve had fiber optics, but it’s only been a few years and with those fiber-optic systems along the wellbore, being able to see not only how the fluids are exiting the wellbore and where they're exiting the wellbore, but also that ability to see how they're coming from the reservoir back into the wellbore. The fiber-optic systems are just – they’re incredibly eye opening and we’re just beginning to scratch the surface. [00:12:00] They’re expensive systems to put in especially with the number of wells that we drill in a lot of unconventionals, but the information that they're providing has just been incredibly eye opening and it's making us rethink a lot of anywhere from fluid systems to production, so fracturing fluid systems to production, start to finish. It’s given us information not only during the couple weeks of the treatment, but for years afterwards. It's providing data and some of those systems have only been in the ground for a few years. Having that information and continuing to gather that information is pretty interesting. So you leave those fiber optics in the ground after you close in a well or is it – how does that work? The fiber optics are permanent installations, so they’re -- once the well is drilled – well, some of them are, some of them are not. Some of them are meant to be cemented in the ground and they’re permanent installations. Some of them actually can be now run in the well and pulled back out. So by having them permanently in the well, you can continue to gather data as long as the fiber optic system sends you data, tremendous amount of data, you know gigs and tigs of data that we have to go through and analyze but yeah, they are long term installations. That’s great. Well, sort of along those eureka moments and everything like that, what has made working in the industry meaningful to you? That’s actually a pretty simple question. It’s the people that you work with. [00:14:00] I’ve been very fortunate in my career, at least I think it’s fortunate, some people might not, but I’ve been able to work both in the industry side and the academic side and I taught at the Colorado School of Mines and still do, part-time for over 10 years, and the people that you get to work with anywhere from the field hands and the people in the field to petroleum engineers, to other engineers, to geologists, to geophysicists, but for me, students are incredibly fun to work with. I love working with students. First of all, they keep you young, that helps, but just the ideas they come up with, the new thoughts they come up with, the energy that they bring to the industry. They’re just phenomenally great to work with, so it’s just across the board that the people – our industry is a small industry, you hear that from a lot of people. It's a small industry with – that spends a lot of money and makes deals with big dollars, but the people that we work with, I honestly believe that some of the smartest, most wonderful, energetic, just entertaining people to work with, so that's one of things I think about our industry. I’m very fortunate in that area. Well, since you get to work with students, what do you think some of the challenges coming ahead are for them? Well, it is an interesting time in the industry, with the drop in prices and the impact that it’s going to have on the economy and the impacts it’s going to have with students. I think the biggest challenge for students obviously is going to and for a lot of people, it’s going to be things like employment in the next few years. The thing that they're going to have to -- the students are really going to have to focus on is just how passionate they want to be in the industry. [00:16:00] You have to have a lot of passion to be in our industry because you are going to see the ups and the downs and that's just the nature of the game and to be in the industry, that's a challenge they’re going to have to overcome in the next few years, is just how to find their piece of the puzzle to fit in that. It’s hard when you’re kind of trying to find that employment, but just trying to hang in there and just – it might not be the most – the job that you had envisioned the whole time, but just to find a way to work your way in that eventually you might find that dream job. I was having breakfast with a friend this morning, same age as I am, same time in the industry and we were talking about a couple of guys that we knew that when they graduated, they got jobs driving truck and now one of them is the CFO of a company and another one is a pretty high completions and drilling manager. They just had to kind of weather that first storm and now they're doing exactly what they want to be doing. That’s great advice. What kind of technical challenges do you see ahead for them? The technical challenges, yeah, oh boy. We've been in a little bit of a surplus kind of situation or semi-surplus with unconventionals and then with the potential of some other countries like Iran bringing on more production at this point in time, but eventually some of that unconventionals deplete or not deplete, but they decline fairly quickly, some of that supply is likely to go away, so I think some of the challenges are – one of the big ones is the unconventional and the shale revolution that’s happened in North America is that exportable, it’s that exportable to other countries? [00:18:00] If so, where are those other countries? Some obviously Argentina, Poland, China have started to develop some of those areas, but just how big is that potential and those students are going to have to go after that. The other big challenge will be some of the deeper water issues. We've had some big discoveries in deep water, but they're very large, expensive, economically intensive projects, and so I think those challenges -- I think the other big challenge is social license, is the opportunity to – the oil and gas industry doesn't always have the best reputation. So the social license is something that a lot of students are going to have to be able to get to operate in certain countries. Quite honestly, certain cities and certain states and certain provinces depending on what country you’re in where there's a lot of people that don't want the oil and gas industry and “not in my backyard,” but energy is obviously very important. It picks up our quality of life. I think a lot of the students now are going to have to really fight some of the social license challenges and address them in the future even more so than we’re having to do now. Well, great. My last question for you is, how has being an SPE member affected your career? I can’t say enough about SPE. Just personally, I have been a member since my freshman year in college. When I signed up to be a petroleum engineer, they said, here you need to join SPE. I said, sure. I had no idea what it was about. [00:20:00] It has -- the people that I have met, the contacts I've met, the networks I know, it's just -- it helps you so much personally, both in your career, but just you know from – just – there's friends that I have that I see once a year at the annual conference and it's great because you know those people are there and if you ever needed something or you needed help on a project or something, there are so many people you could reach out to. The technology transfer that SPE provides, the opportunity to get together at meetings that is all –especially again being in academics, being able to meet people to help with research projects, to meet people to help with students and supporting students and supporting student organizations. All of that really when I start to look back on it all kind of spirals out of my involvement with SPE. Now, I've been very fortunate to be an incoming Board of Directors member and I'm very excited about that, very nervous about that and I hope that I can serve my society in that particular area, but it’s the people that you meet through all these opportunities and SPE is the core that helps a lot of that happen. Well, thank you and thank you for your service. We really appreciate it. Thank you for agreeing to do this interview. I appreciate it. Thanks for the opportunity. This page was last edited on 22 October 2015, at 21:37.